Certain single malt whiskies have a special place in our hearts. Maybe it was the first one you tried. Or possibly a special dram for a special occasion. The Dalmore holds a place in my heart. It was one of the first whiskies that I tried making me want to buy another bottle! 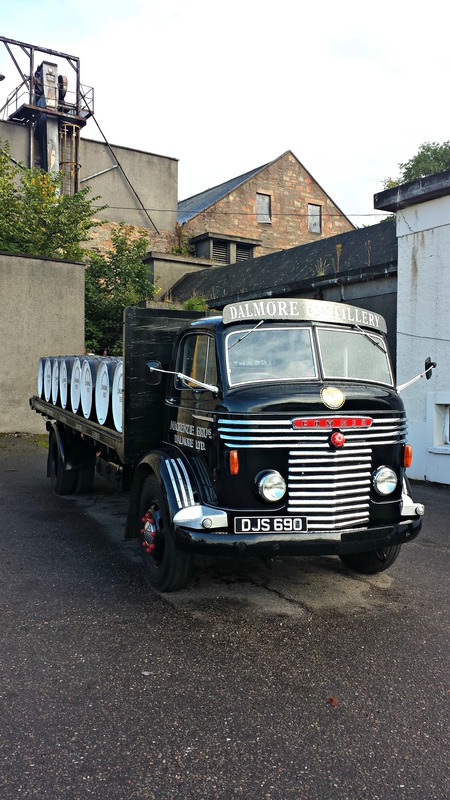 The trip to The Dalmore distillery just north of Inverness in the Northern Highlands of Scotland was a day I was looking forward to for a long time. 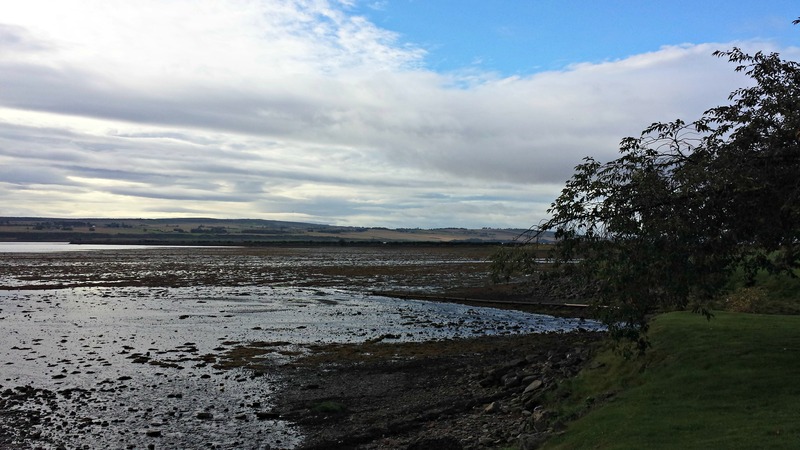 The distillery is set on the banks of the Cromarty Firth overlooking the Black Isle. It is a beautiful spot and turned out to be worth the wait. 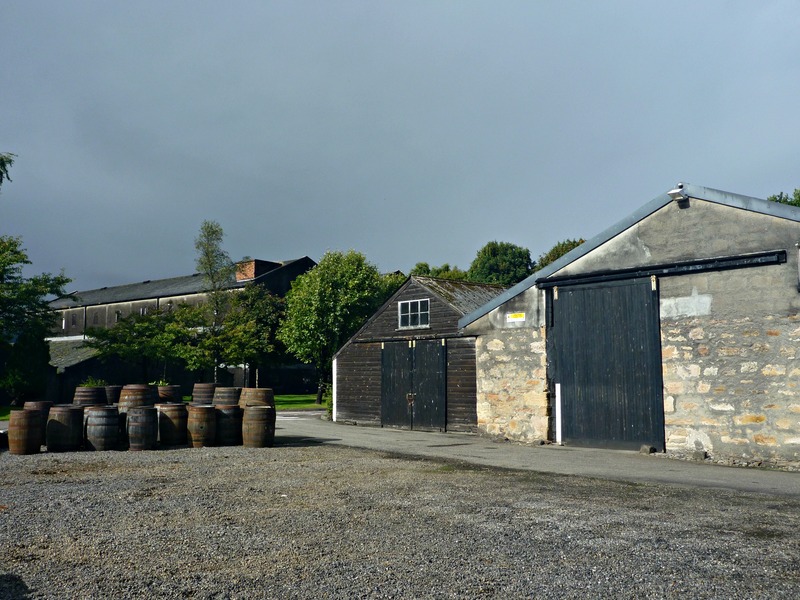 Founded in 1839 by Alexander Matheson, the distillery was leased and managed by the Sunderland family until 1867. 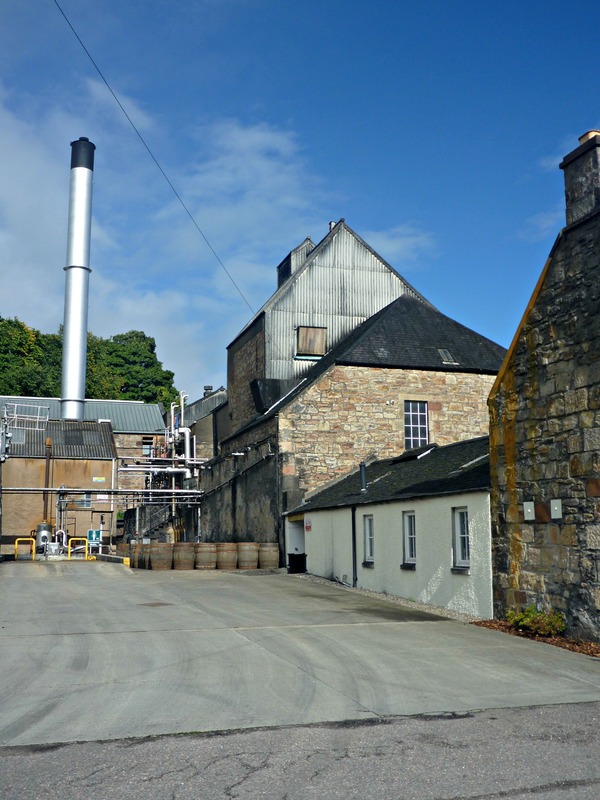 In 1886 the distillery was sold to new owners, brothers Andrew and Charles Mackenzie, members of the Clan Mackenzie. 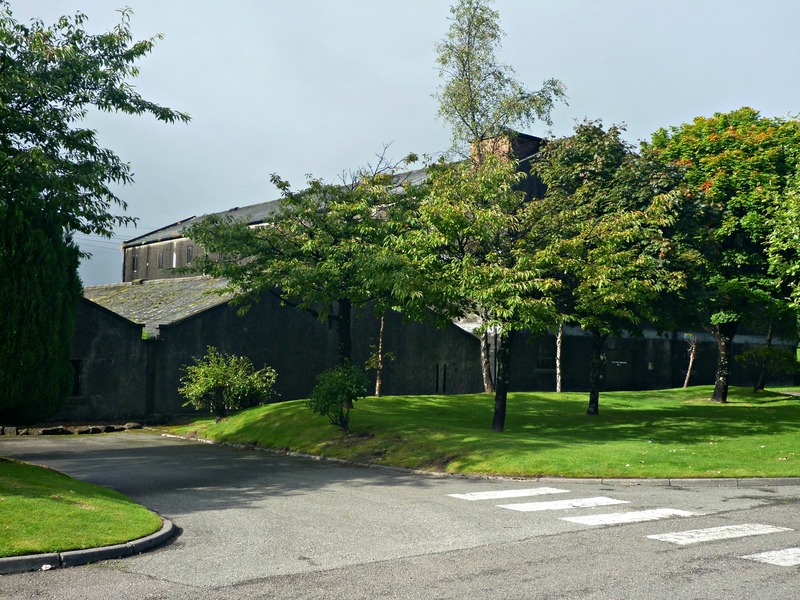 Currently the distillery is owned and operated by Whyte and Mackay Ltd which is owned by Emperador, Inc., a Phillipine holding company involved in bottling and distributing distilled spirits. Our late-morning tour started by learning some of the history of The Dalmore and the story of “The Death of the Stag,” which is also a painting by Benjamin West found in the National Galleries of Scotland. The story goes that the first chieftain of the Clan Mackenzie saved the life of the Scottish King Alexander III during a hunting expedition in 1283. In turn, the King gifted the chieftain with the Royal emblem of a 12-pointed stag that was used in the coat of arms. The 12-pointed Royal Stag emblem is now found on every bottle of The Dalmore spirit, called the caberfeidh. 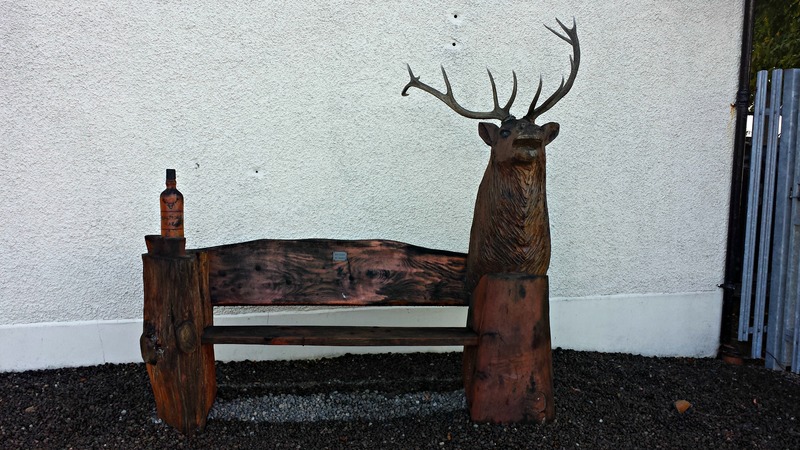 It is quite the story and a great symbol for The Dalmore. Three water infusions of 62 degrees, 75 degrees and 82 degrees in Mash Tun. Process takes about 7 hours. 8 washbacks hold approximately 49,500 liters of worts. Washbacks are made of Oregon Pine and are between 50-80 years old. Overall, it was a great tour of the facility. Pictures were not allowed inside the facility, unfortunately. But we were able to walk around the property and enjoy the views and take in that great distillery smell. 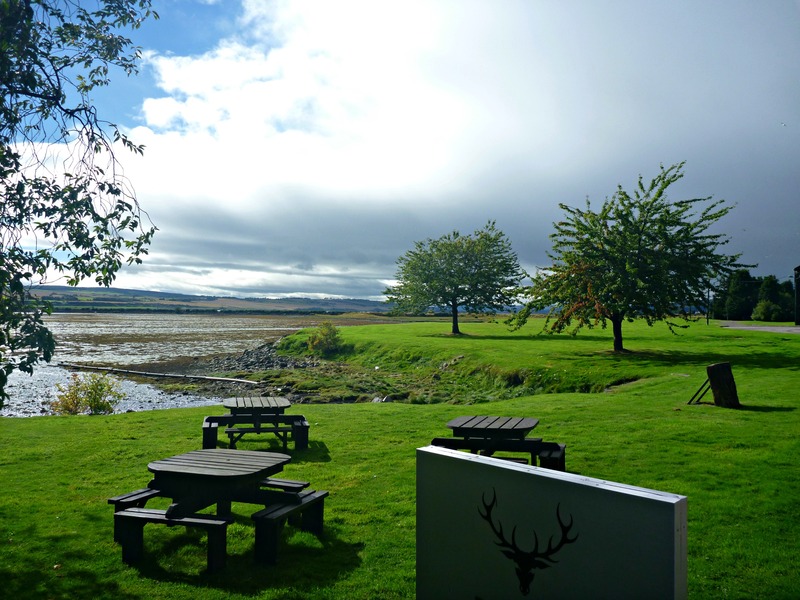 Charles’ notes: The Dalmore distillery turned out to be a great experience. I did have one regret, however. I ended up not buying a bottle of the Distillers Edition and it haunted me for the rest of my whisky tour through Scotland…!! There were only a limited number of bottles left too. Well, we do learn. The tour was very nice and informative even though our guide was battling through a cold, but she was great and a trooper. There was a funny story about some Scandinavian visitors skinny dipping in one of the water troughs after hours, but that is for another time. I wouldn’t hesitate to go back to The Dalmore. It was set in a great spot and close to some good food options as well. We made the day trip up from Aberlour in the Speyside region and this is very doable. 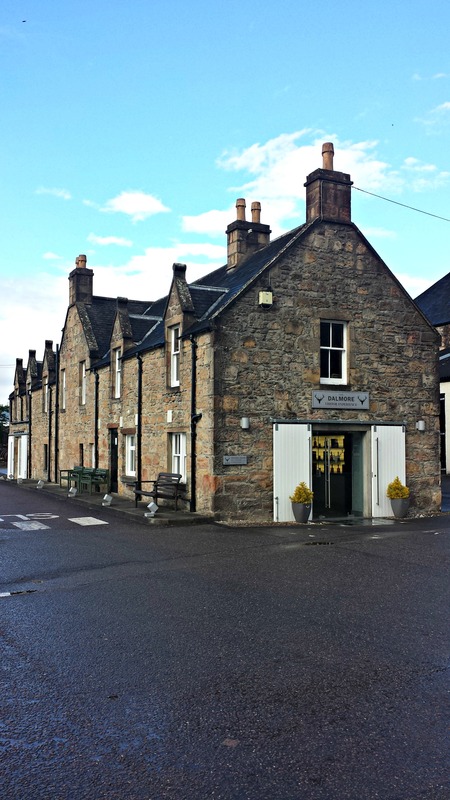 We combined this visit with a visit to Glenmorangie later in the day. I look forward to the next visit at The Dalmore.